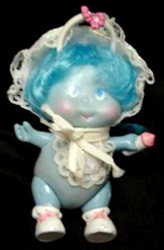 "Let their love light shine!" 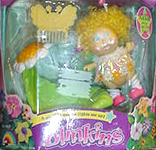 Blinkins were produced by LJN Toys in 1985-86. 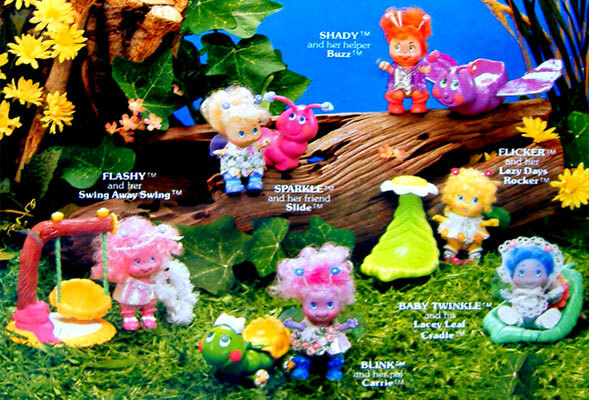 They were fairy-glowbug creatures who lived in Blinkin Land who had small wings which lit up and glowed in rainbow colours when their bodies were squeezed. 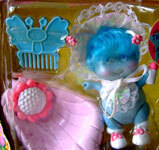 They each came with a pet or accessory and a butterfly comb. 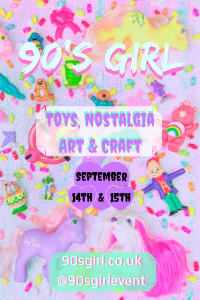 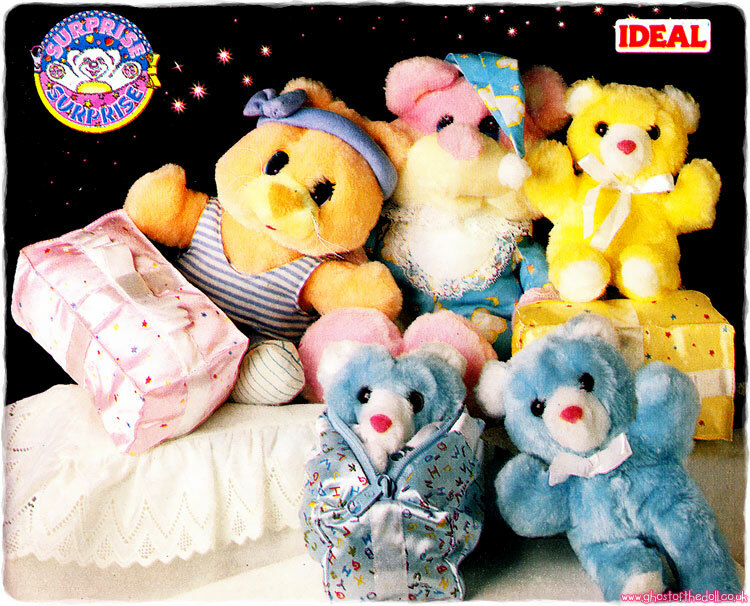 Along with the small dolls Blinkins were large plush versions, playsets, accessories, books and videos. 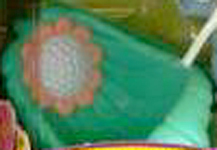 Images on this page thanks to Kerry, TheBlindTiger or found on eBay , with thanks to various sellers! 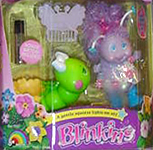 View all Blinkins on eBay.com , eBay.co.uk , Amazon.com or Amazon.co.uk ! 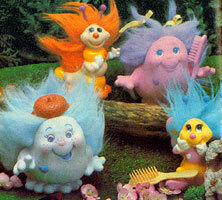 "Six loveable characters who 'blink' on and off with a touch!" 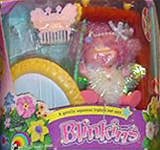 There were six Blinkins dolls, who each came with either a play accessory or pet, clothing and a butterfly shaped comb. 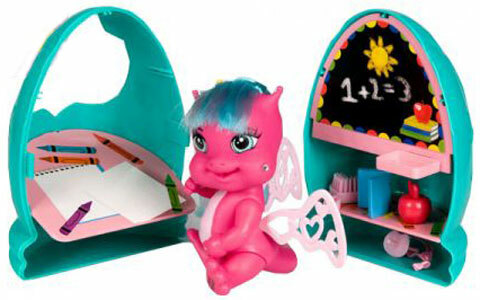 They were about 3 inches high. 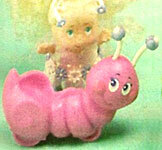 Blink - came with pet caterpillar Carrie. 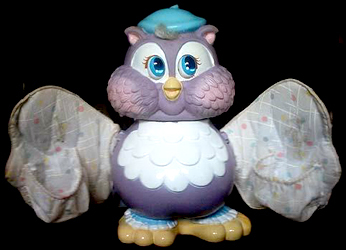 Flashy - came with Swing accessory. 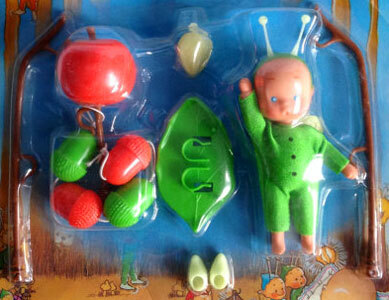 Flicker - came with Lazy Day Green Leaf Rocker accessory. 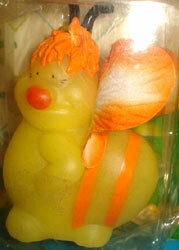 Shady - came with pet bug Buzz. 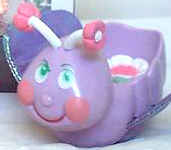 Sparkle - came with pet bug Slide. 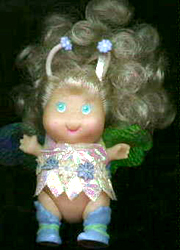 Baby Twinkle - came with Lacy Leaf Cradle accessory. 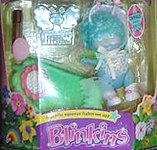 These are the Blinkins accessories & pets, which came with the dolls when bought. 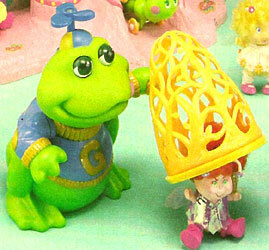 Mr Ben The Owl - "When you press my hat, my eyes light up and my wings shut tight"
Grog the Frog & net [accessory] - "Too busy. 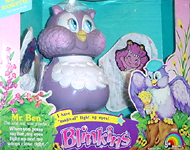 Blinkins catcher. 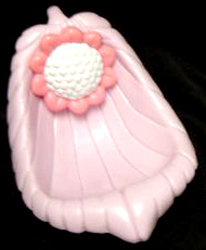 When you press my cap, my eyes light up and my net comes down "